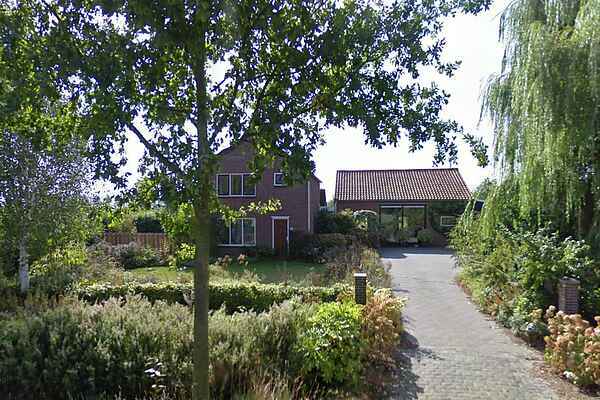 Mondriaan is a comfortable, detached holiday home on the edge of the village of Oudelande, close to Baarland. There's a romantic little garden path, which is lit at night. There's a sauna and a swimming pool! It's a good base for making cycling tours and trips to Middelburg or Goes. There's a small beach at the Westerschelde at just 2 kilometres from Baarland. In this house's interior you'll find references to Piet Mondriaan's art. Blue, red and yellow, they're everywhere, even the doors are blue! Walking past the bookcase, you'll certainly feel like starting a new reading adventure. If you want to do that comfortably sitting or lying, then there are two leather sofas at your disposal. There is a beautiful garden, and for the children there is an inflatable swimming pool. The beaches in Vlissingen and Domburg can be reached in a approximately thirty minute drive from holiday home Mondriaan. In Vlissingen you can walk along the main promenade or sip a beer at the Vier Winden Plein with its outdoor terraces. Visit Middelburg with its historic streets and squares and the famous Lange Jan Abbey Tower. Goes also lies at about 12 to 14 kilometres from Mondriaan.